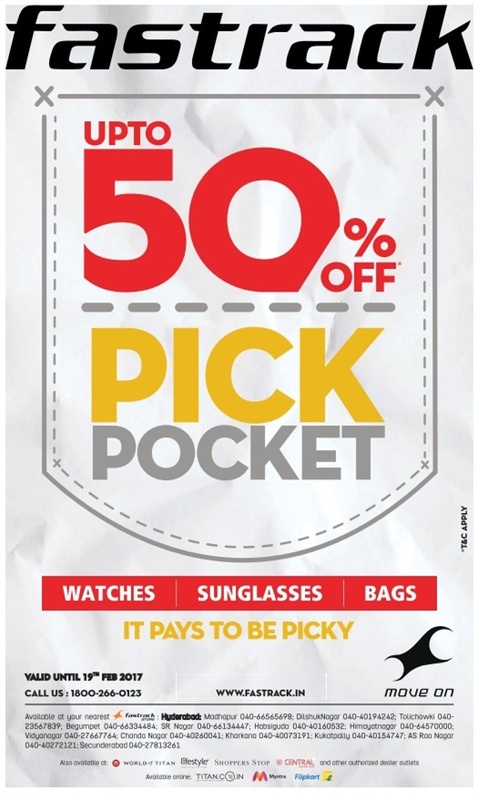 Fastrack up to 50% off pick pocket. Offer valid Watches, sunglass, bags. it pays to be picky.